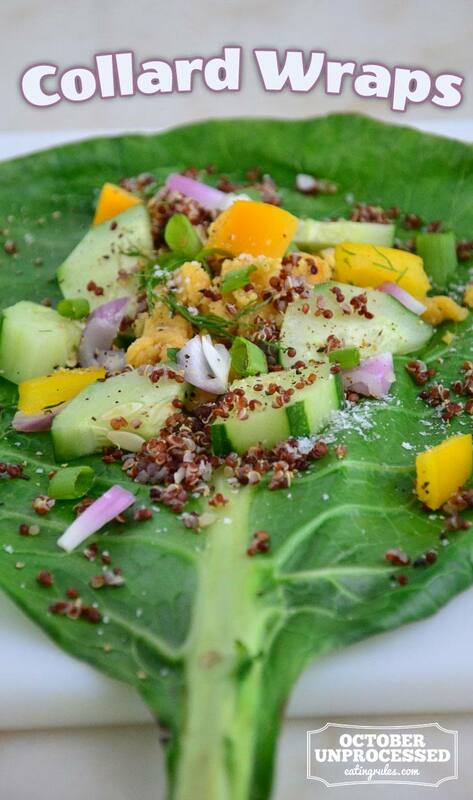 Collard green wraps are an easy way to make a hearty lunch that’s grain-free and paleo. I personally don’t do well eating wheat tortillas and many other brands of tortillas bother my stomach so I opt for skipping the tortilla and using leafy greens instead. Think of these as a lettuce wrap with a collard green in place of lettuce. They’re filling, full of fiber, and easy to pack for lunch or a quick weeknight dinner. I hope you love them! 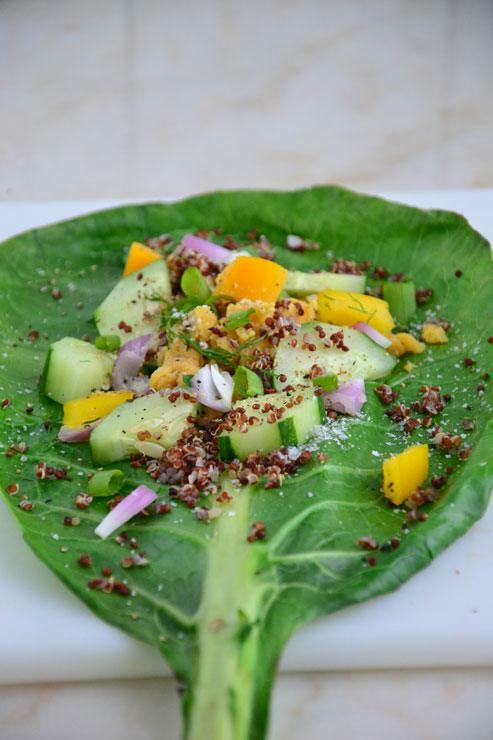 Here is a simple recipe for Collard Wraps that can be assembled in less than 10 minutes. Cook any ingredients ahead of time for a quick and easy meal. Prepare a large skillet with 2 inches of water. Bring the water to a soft boil over medium heat and place the raw collard green leaves in the warm water. Let the leaves sit in the water for 20 seconds or until they’re bright green and tender. Remove the leaves from the skillet and place face down on a flat surface. Place your desired ingredients inside the center of the steamed collard green leaf and roll it up lengthwise like a burrito. Place a toothpick through the wrap to secure it and serve immediately. Prepare a rimmed baking sheet with parchment paper and place the sweet potatoes on top. Poke holes in the potatoes with a fork then roast them for 50 minutes or until they’re tender. Remove from the oven, set aside to cool for 5 minutes then discard the skin. Scoop out the flesh and set aside. 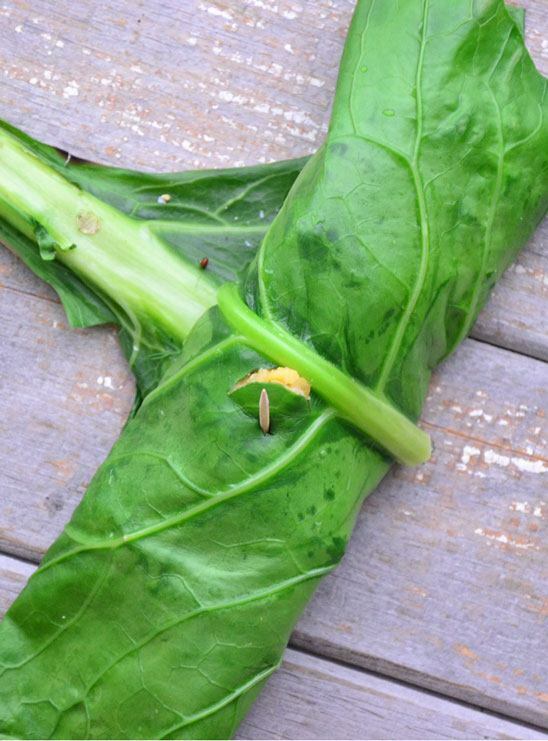 Follow the above directions to steam your collard leaves. Lay the steamed collards on a flat surface and top with the sweet potato flesh and remaining ingredients. Roll the leaves up like burritos lengthwise and place a toothpick through the wrap to secure it. Serve immediately. Amie Valpone, HHC, AADP healed herself from a decade of chronic pain, including Lyme Disease, Hypothyroidism, and more. Amie now cooks for a variety of clients including celebrities, using organic, anti-inflammatory foods to create recipes and meal plans. She shares her story of how Clean Eating and Detox saved her life, and inspires you to clean up your food too, on her site, The Healthy Apple. 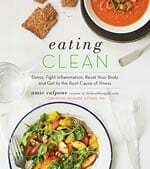 Amie is the author of The 3-Month Anti-Inflammatory Meal Plan, and the best-selling cookbook, Eating Clean: Detox, Fight Inflammation, Reset Your Body & Get to the Root Cause of Illness. You can also find her on Facebook, Twitter, Instagram, and Pinterest. I love the way collard wraps look, so green so natural and whole! I would love to enjoy these lovely wraps with some yummy fillings. But I don’t because I have hypothyroidism and was told collards and other goitragenic foods are a no no raw! I actually love all foods in the in the goitrogenic zone. But normally I eat these foods cooked. What can I do to make this food less risky for me? Are cooked collard wraps a thing? These look great, but I notice that you stated to “serve immediately.” Would these not work well to pack for a work lunch? Thanks for all of the great recipes.